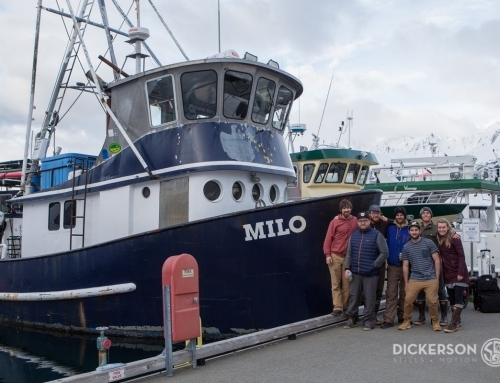 I’m writing this from aboard the m/v Milo, It’s dark outside now, all i can hear is the willywahs beating the sides of the boat as she leans over from the force. Earlier in the day we could watch the waterspouts twirling past us, occasionally slamming right into us. When one hits us straight on we can feel the low pressure in our ears as it passes around the boat. It’s a clear reminder that we are in the birthplace of the storms. We have paused our travel plans to take some pretty weak shelter from a pretty intense gulf of Alaska storm. It looks to be gusting around 70mph out right now. 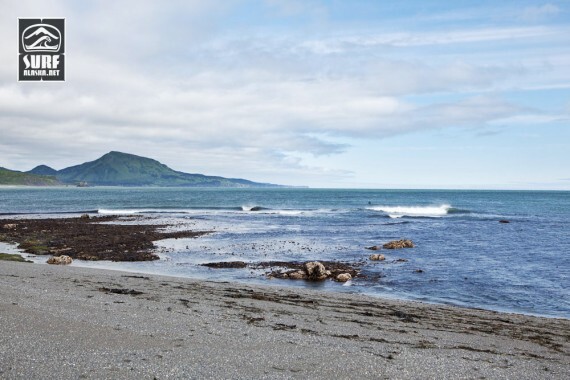 We have anchored up in the Barren Islands about one third of the way to the South end of the Kodiak Archipelago where we’ll spend the next three weeks exploring the surf potential there. Hopefully tomorrow afternoon the wind will let us sneak down to Shuyak, Afognak, then Kodiak Island. Being holed up waiting on the weather I’m thinking about the last time I went to Kodiak to surf. Land Rover launched a new compact suv in 2011, the Evoque. This vehicle is aimed at urban dwellers with a healthy budget who would like the idea of a road trip, maybe surfing, how about to Alaska!? 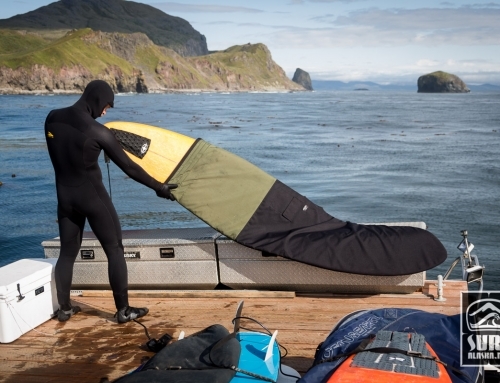 To illustrate this fine idea the Land Rover magazine ‘One Life’ decided to make the dream reality and with a bit of help from myself and generous friends of Surf Alaska this is exactly what they did. 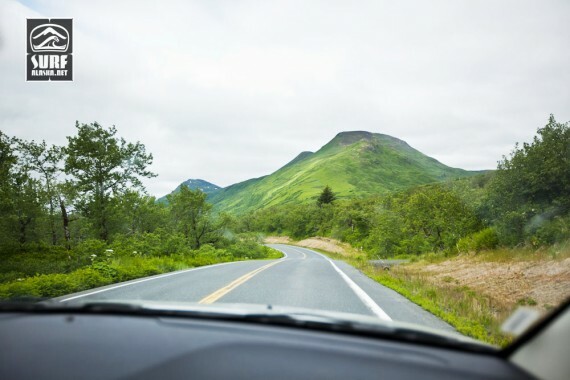 Their incredibly long road trip began in Canada and brought them all the way to the literal end of the road in Homer, Alaska. But this wasn’t quite far enough, so we got on the ferry and went to Kodiak to find some waves to surf. I’ll let the One Life crew tell you the story – check out the video below. 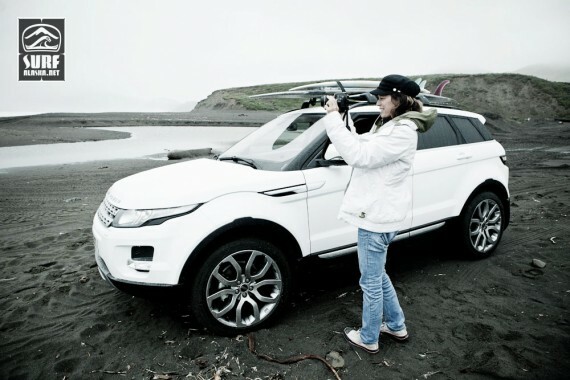 It was a real pleasure working with the crew from Land Rover. 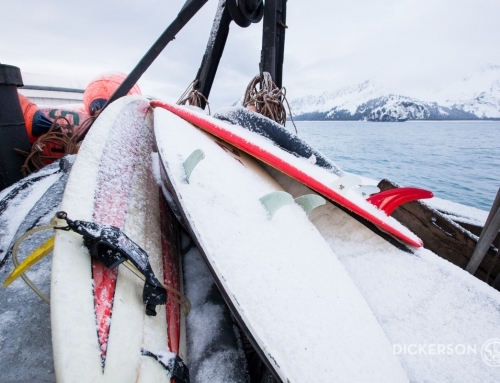 Like any Alaskan surf trip, theirs offered plenty of challenges to overcome and they persevered with great attitudes making the most of all their opportunities. 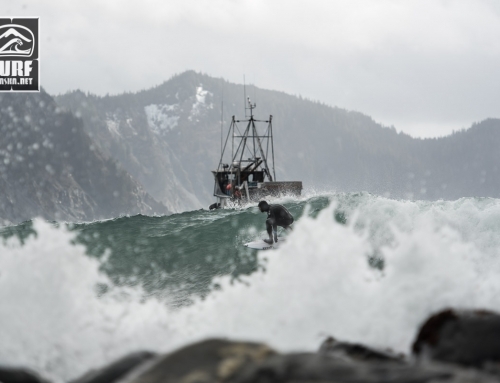 A big thank you goes to the friendly local surf crew in Kodiak, especially Ryan Murdoch and Caroline Goodman for their help and hospitality. I took some snapshots on the mission. 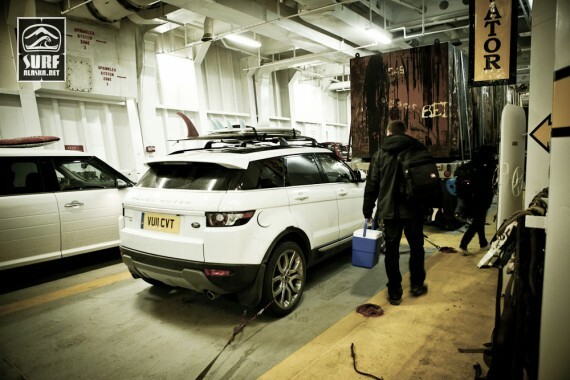 The Evoque in the belly of the Ferry. 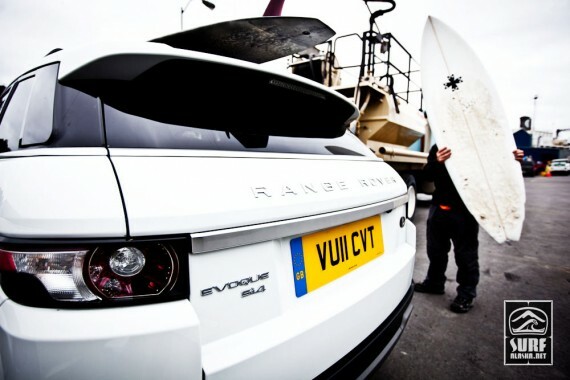 loading the boards on the Evoque. Nice little setup with some great potential. Chrystal tells me they don't have to wear this much gear where she's from. 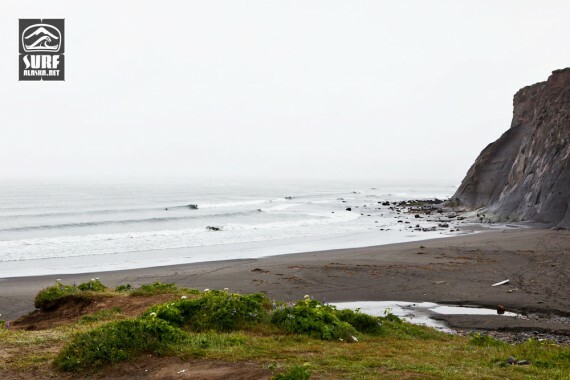 Kodiak local Caroline Goodman surfing a beach break. One Life film crew. Rain or shine. Chrystal walking to the nose on a nice little peeler. 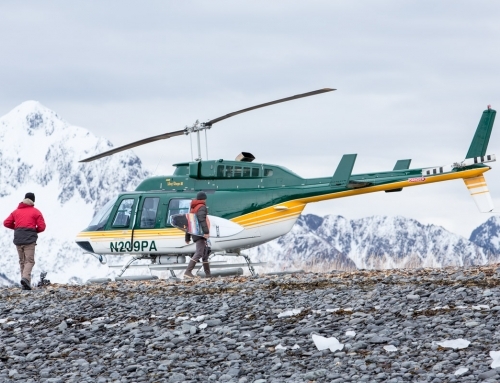 A surf trip to Kodiak wouldn't be complete without the buffalo. 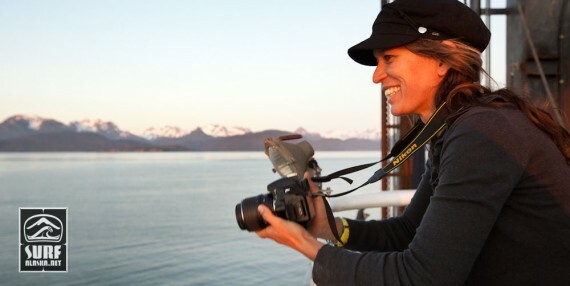 The One LIfe production crew riding the Alaska Marine Highway back to Homer. Mission accomplished. The picture with caption “Nice little setup with some great potential’ actually has a name. I surfed it 8 years ago for the first time with a long time local,and we named it constipation. I guess some locals and coasties are calling it connies now. The left is constipations and the right peak is hotels. Connies is one of the best waves on the AK road system when its working,and I guess some dudes on a boat in October figured it out. I know it wasnt the milo since I asked already.It’s still jacked up since you can drive to the spot,and it’s semi secret.